Phillips Exeter Academy provides students and employees Microsoft Office 365 on up to five Windows or Mac computers. Office 365 comes with Word, Excel, PowerPoint and for the first time is available to you through computer, tablet, mobile and web interfaces. Note: Upon graduation, withdrawal, or end of employment from Phillips Exeter Academy, your subscription to Microsoft Office 365 will expire. Uninstall any pervious version of Office on your computer. New versions will be installed when Office 365 is set up. Office 365 provided by Microsoft Campus may have different options than a standard installation. Go to https://login.microsoftonline.com/ and login with your @exeter.edu email address. Follow prompts to Install office on your Windows or Mac computer. Office 365 downloads as a complete package, so there is no ability to choose which applications to download. After the download, the installation process will start automatically. Office 365 will install Office 2016 on Windows or MS Office 2016 on Macs depending on OS. Microsoft offers Office 365 on multiple device types from largest desktop down to your pocket-sized mobile phone. The installation process is similar but there are a couple of things to remember when working on your files through a different device. Check out the Installation Guide for more information and links to download apps onto your phone or tablet devices. Who is eligible for Office 365? Will my Office 365 subscription expire? What applications are included with Office 365? When is Internet access required? Office 365 is a cloud-based subscription service that allows you to access Office applications, such as Word, Excel, PowerPoint as well as other productivity services via a web-browser. With Phillips Exeter Academy's subscription, it also allows you the option to install a full version of Microsoft Office on up to five Windows or Mac computers. The tablet or mobile installations do not sue up one of your five computer installations. Office 365 is available for currently enrolled students, faculty and staff. Yes, your subscription will expire upon graduation, withdrawal, or end of employment from Phillips Exeter Academy. With the expiration of your network account, the PEA Office 365 subscription will expire. Office apps like Word and Excel, will eventually move into a read-only, reduced functionality mode and display Unlicensed Product notifications. If you're graduating, check with your college to see if Office365 is available to students and subscribe. If it is not available, check out purchasing an Office 365 University Subscription. 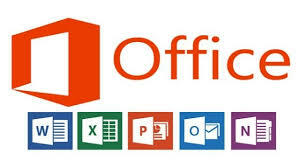 To access the Office 365 online offering such as Word, Excel, PowerPoint.